When people think about federal law enforcement officers, they probably think about FBI and ATF agents. There’s been a whole other group of federal officers around since 1775, though, and every year they arrest more than 5,000 people. The U.S. Postal Inspection service was created by Ben Franklin when he was the postmaster general. 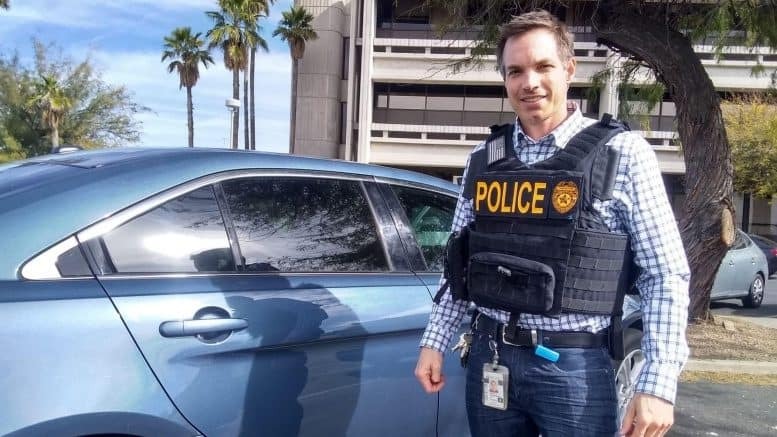 The service is often referred to as the “silent service” because it is one of the lesser known law enforcement agencies, said Dan Grossenbach, a postal inspector based in Tucson. It might fly under the radar, but the agency investigates a long list of crimes. In addition to investigating mail thefts and mail fraud, the postal inspectors investigate when drugs, weapons, explosives and other hazardous materials are caught being sent through the mail.